Santiago – At the invitation of Galicia’s regional government, representatives from coastal communities across the European Union came together today in Spain with a common goal: to ensure EU decision makers protect the economic future of their communities during the Brexit negotiations. With the signature of Alberto Núñez Feijóo, the President of Galicia’s regional government, representatives officially launched the Santiago de Compostela declaration. The declaration, signed to this day by over 60 coastal communities from EU Member States potentially impacted by Brexit, calls for vital regional interests to be an integral part of future negotiations. The link between the future of the fisheries industry and the continued prosperity of these communities is inseparable. In his remarks, the President of Galicia expressed the hope that the movement started today will be joined by many more coastal communities representatives who he invited to add their signature to the declaration over the coming weeks and months. 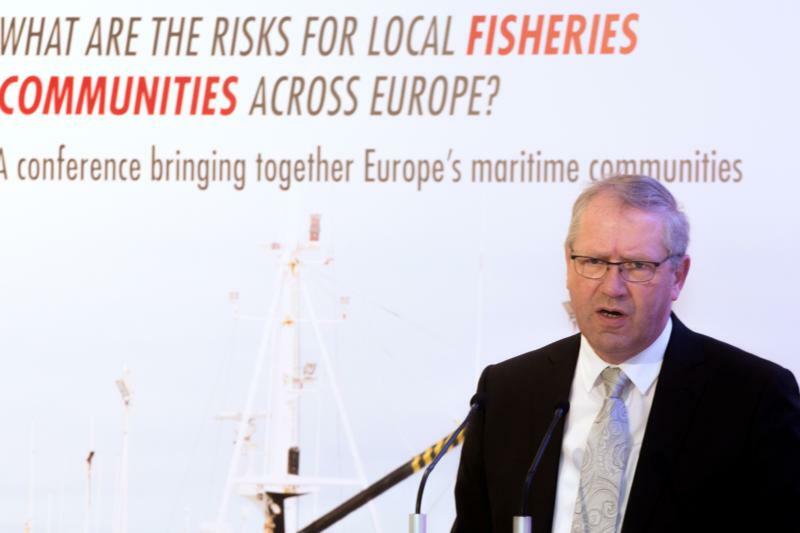 Several Mayors, aldermen, other local dignitaries and the fisheries industry, including speakers from Belgium, Denmark, Germany, Ireland and the Netherlands debated the fundamental threat that Brexit represents. Brexit has cast a veil of uncertainty over the future of fisheries on both sides of the new divide. The United Kingdom and the EU share a truly common resource: the shared fish stocks in shared waters. The futures of British and EU fishermen and the communities that depend on this common ressource are intertwined like no other. While EU fishing fleets depend on access to what is to become UK waters for 42% of their catch, the UK industry exports 60 percent of its total catch to the EU’s single market. The full text of the Declaration of Santiago de Compostella can be found on the European Fisheries Alliance Website.